Stretching 30 miles from Ka’ena Point in the west to Kahuku Point in the east, the North Shore is a place of extraordinary natural beauty. 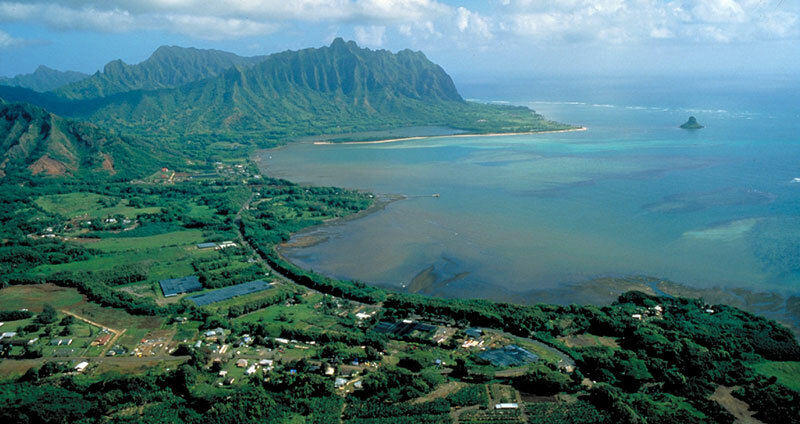 Known throughout Oahu as “the country,” the North Shore is home to 60,000 acres of undeveloped and unprotected land—pristine white sand beaches, dramatic mountain views, and lush expanses of agricultural lands, all of which contribute to the region's allure to tourists and developers. To find a balance between development and conservation, the North Shore Community Land Trust sought the guidance of The Trust for Public Land. Working closely with the land trust, we gathered information from the community and local experts to identify the region’s most important conservation values—to protect agriculture, natural habitat, water quality, view planes, and beaches while increasing recreation access and preserving places of cultural and historic importance. The resulting Greenprint identifies the lands critical to each value and defines actions and goals to guide conservation and protect the rich natural and cultural heritage of the North Shore.